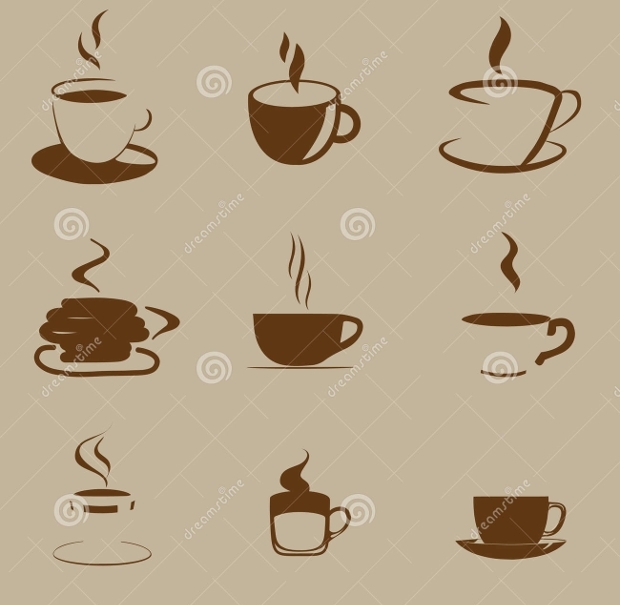 Coffee vectors are small images for use as website icons, blog posts, scrapbooking, or to use in the design for menus. They embellish the design they are being used in and can include text or lettering in order to anchor the embellishment in with the design of the project. 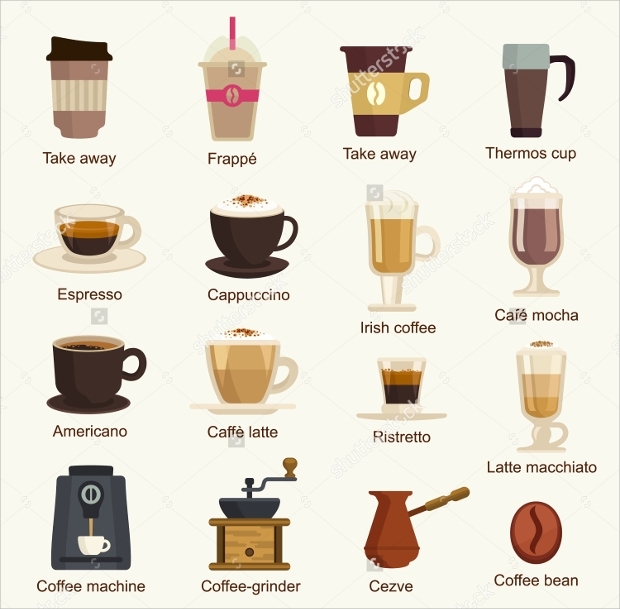 Mostly coffee vectors are used in the designing of coffee shop menus and this article has compiled some of the best coffee vectors currently available online. 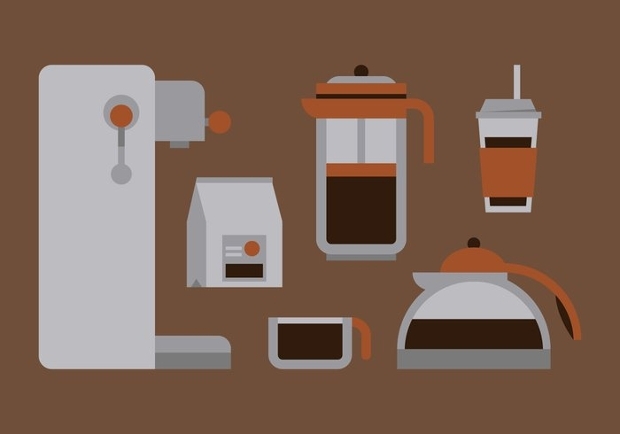 These vectors use browns and creams to almost mimic the coffee that it advertises. 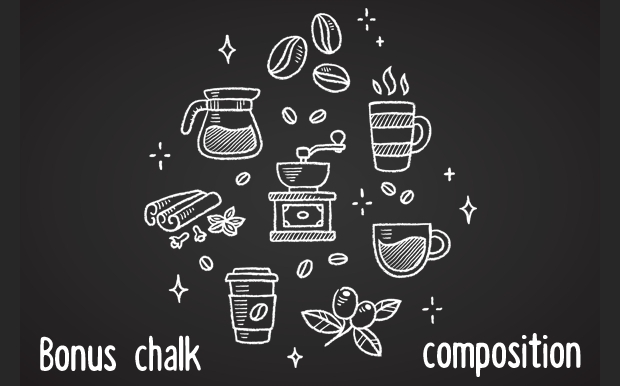 There are hand-drawn versions of this vector, as well as silhouetted versions, all of which are perfect for company logos or on the design of a menu. 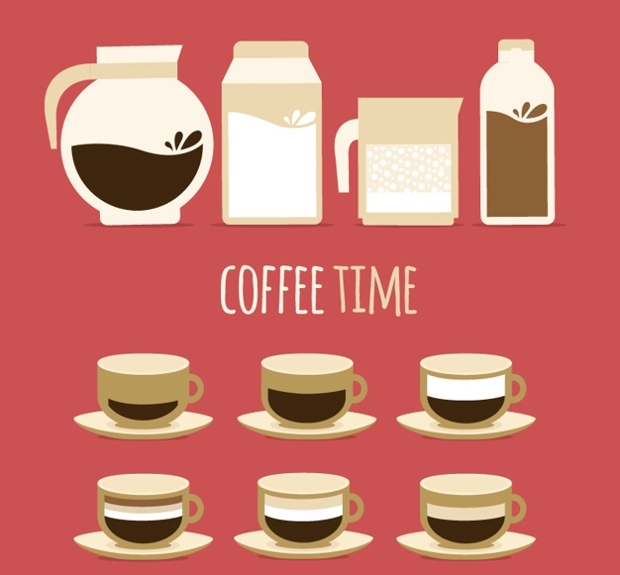 These vectors are more realistic graphics of coffee and focus on browns and whites in their designs. 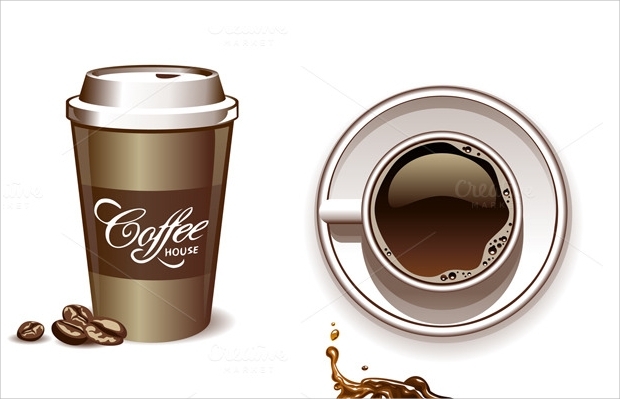 They are best for website designs, or as an online advertising campaign as they are a much more modern style of vector. 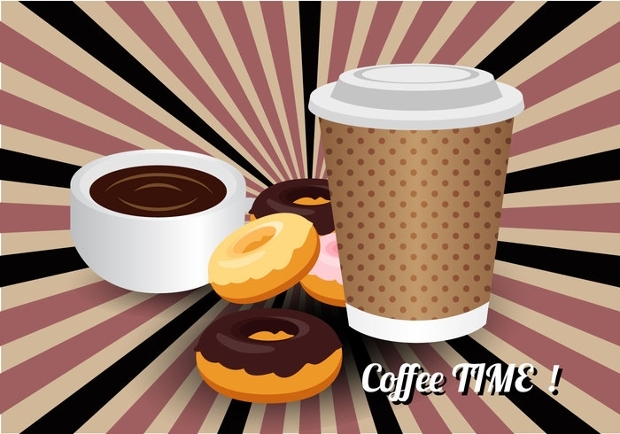 This vector uses a cartoon-like theme to the pictures of coffee and is ideal for use as a poster or picture to advertise the different kinds of coffee served by a coffee shop. 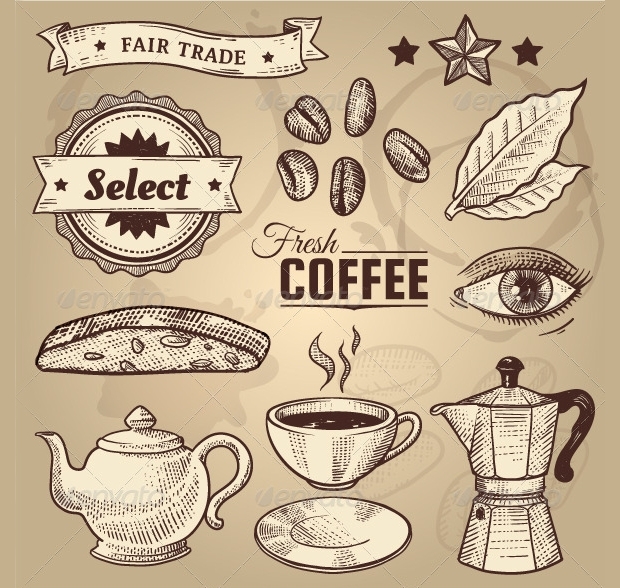 This vector uses neutral browns and a hand-drawn theme to the vectors and is ideal for use in a vintage themed coffee shop as pictures, postures, or even as logos and menu embellishments. 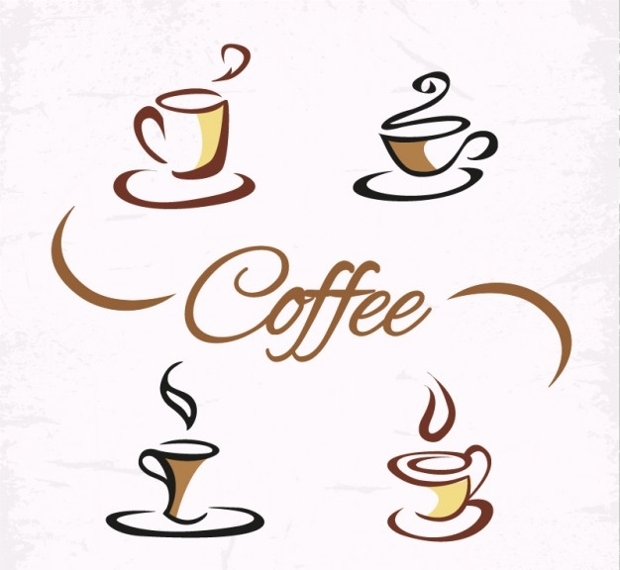 This vector uses a white background and brown cartoon-like outlines to create charming doodles of coffee, which are perfect for menu embellishments, business cards, company logos or crockery designs. 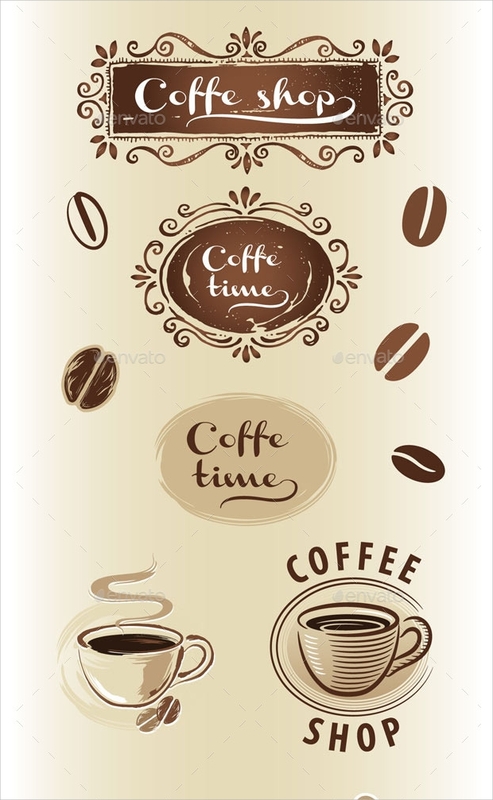 This vector uses a brown background and a darker brown background to create a hand drawn feel to the pictures of coffee. 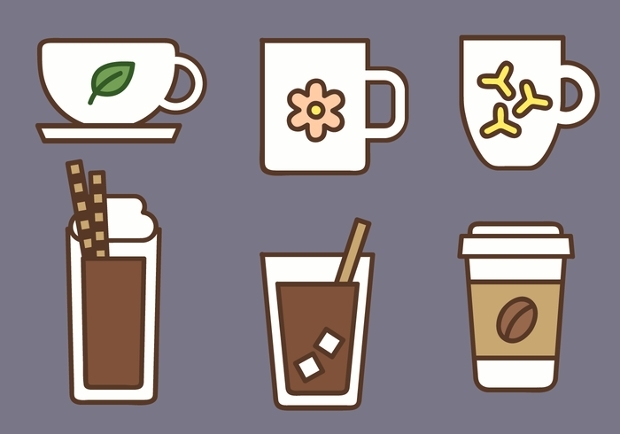 These vectors are perfect for a smaller coffee shop as a logo, menu embellishment, or as a wall hanging. 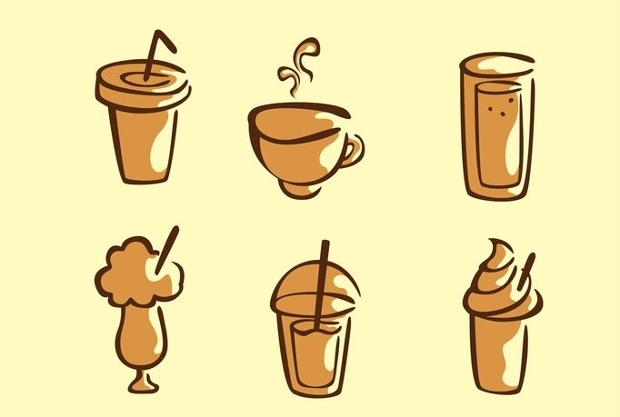 These vectors are also cartoon like, but use a cursive script, giving the vectors a hand written feel also. 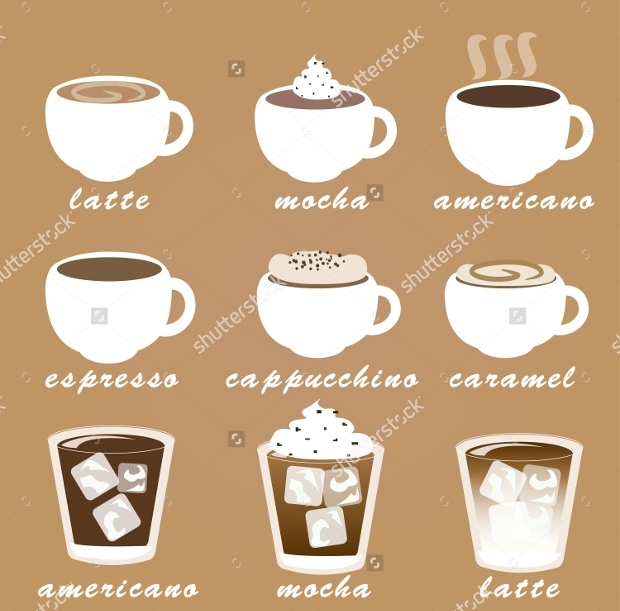 These vectors are good to use as a wall hanging in a coffee shop, or in a menu instead of writing the types of coffee that the café offers. 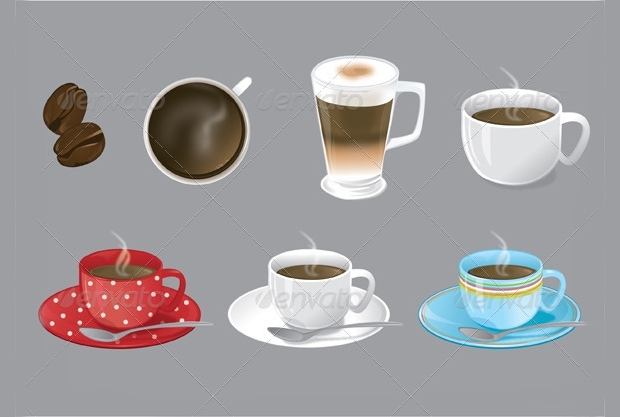 These vectors are more life-like pictures of coffee and use reds, whites, and blues to show different designs of a coffee cup. 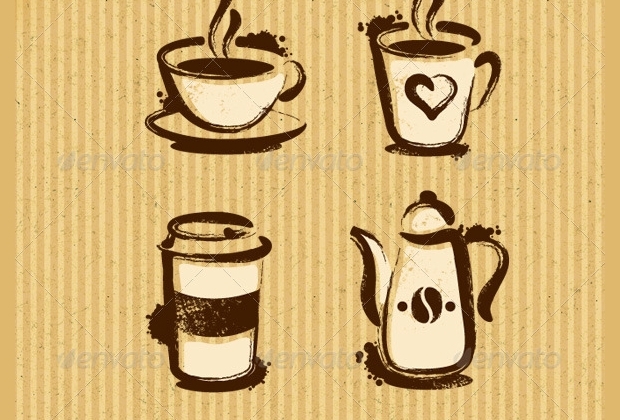 These vectors are best used as a wall decoration, or as a website embellishment. 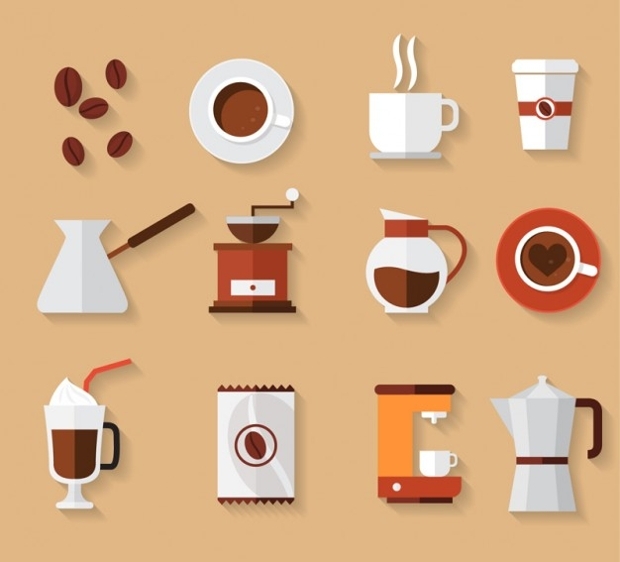 These cartoon-like vectors use neutral browns and whites to create a simple image, which is best used as a menu embellishment, a café logo, or as a crockery embellishment in a café. 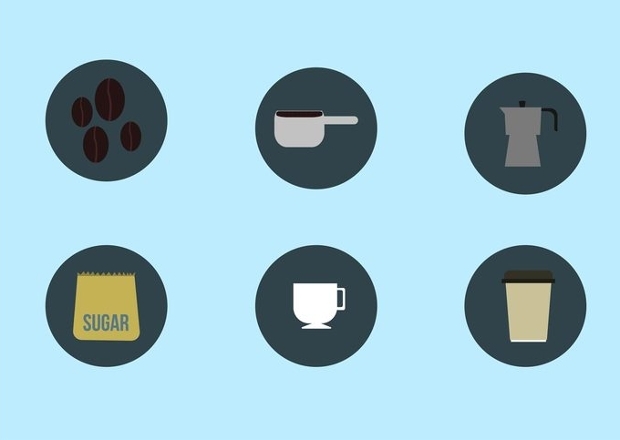 They could also be used as wall decorations or as a business logo. 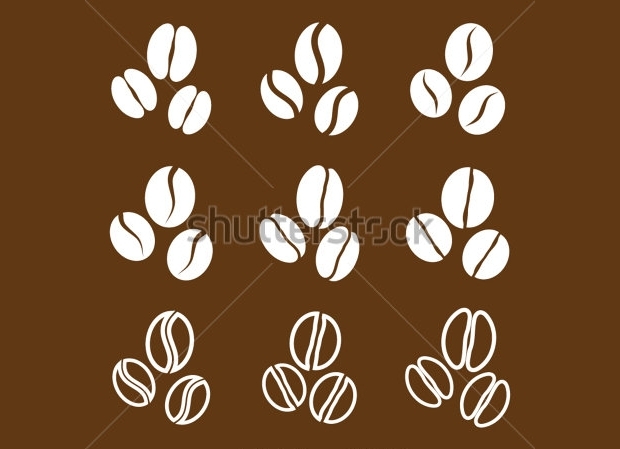 These vectors are primarily different types of coffee bean, which are either white silhouettes or filled in images on a brown background. 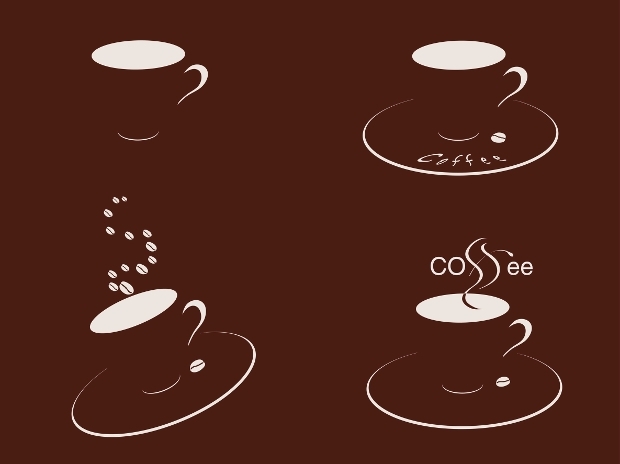 The simplicity makes them perfect for a menu or café logo, or as crockery embellishments. 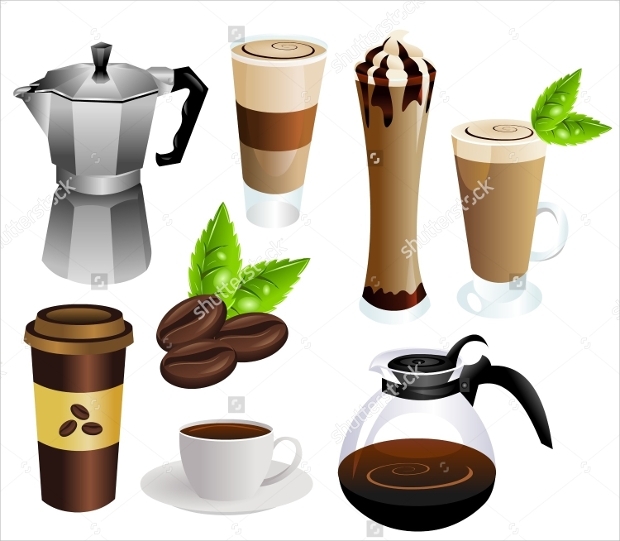 When deciding on a coffee vector to design your business logo, embellish your menu, or create some design elements for your coffee business, it is important to know the theme of the coffee business you are designing. 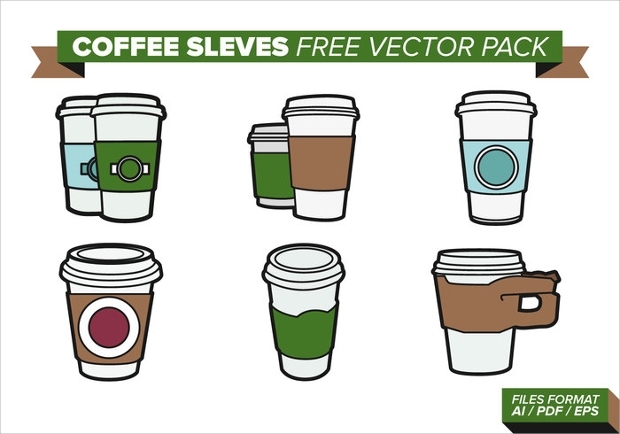 This list has compiled a wide range of varying styles of vector hoping to help you get a better idea of the perfect vector for your company.